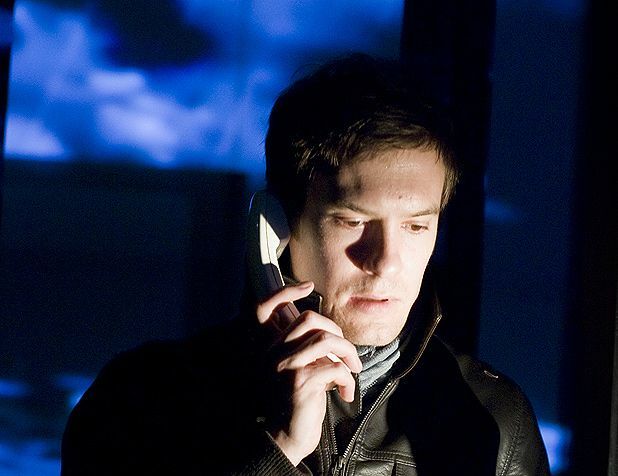 Beachy Head Award-winning multimedia company Analogue returns to the scene of their earliest success with a new show exploring a man’s decision to take his own life. Pleasance Dome, 556 6550, 8–30 Aug (not 17, 24), 5.25pm, £8–£9 (£6.50–£7.50). Previews until 7 Aug, £5. The Tartuffe / The Trial Belt Up theatre provides an inspired, energetic take on some literary classics. C Soco, 0845 260 1234, until 31 Aug, 8.55pm (The Tartuffe), 11.20pm (The Trial), £9.50–£11.50 (£8.50–£10.50). White Tea Scottish theatrical maverick David Leddy examines postwar Japanese politics through a complex mother-daughter relationship. Assembly Rooms, 623 3030, 7–31 Aug (not 11, 18, 25), 2pm & 5pm, £9–£10. Previews 6 Aug, 2pm & 5pm, £5. Barflies Grid Iron explores the timeworn connection between alcohol and creativity through the writings of Charles Bukowski, setting the piece, appropriately enough, in a pub. The Barony, 228 1404, 8–31 Aug (not 14 & 15, 21 & 22, 28 & 29), 3pm (24 & 25 noon), £16 (£11). Preview 7 Aug, 3pm, £11 (£5). The Girls of Slender Means A suitably slip-sliding adaptation of Muriel Spark’s novel, by the redoubtable Stellar Quines. Assembly Rooms, 623 3030, 8–31 Aug (not 10, 17, 24), 4.20pm, £15–£18 (£14–£16). Previews 6 & 7 Aug, £10 (£5). Orphans The urban crime thriller is given a thoughtful twist in this new piece by playwright Dennis Kelly. Traverse Theatre, 228 1404, 9–30 Aug (not 10, 17, 24), times vary, £16–£18 (£11–£12). Preview 8 Aug, £11 (£5). Precious Little Talent Ella Hickson’s follow-up to last year’s award-winning Eight addresses the recession, Anglo-US relations and Obama. Bedlam Theatre, 225 9893, 10–29 Aug (not 16, 23 Aug), 2.30pm, £8.50 (£6.50). Previews 6–8 Aug, £7 (£5). Trilogy Three-part dissection of what it means to be a woman in 2009 by feminist theatre-maker Nic Green. St Stephen’s, 0141 565 1000, 12–31 Aug (not 18, 25), 7.30pm, £12 (£9). Previews 9 & 10 Aug, £9. In this psychological thriller, Danny and Helen's quiet life explodes when her brother turns up. Covered in blood.Written by Dennis Kelly and directed by Roxana Silbert, 'Orphans' reunites the award-winning team behind 'After the End' (Fringe 2005). Adapted fromstoriesby Charles Bukowski. Join multi award-winning Grid Iron for a visceral look at the pains and glories of drunkenness with the world's most dedicated barfly.Enjoy Grid Iron responsibly. 'The magicians of site-specific theatre' (Observer). Nightmarish immersive experience from Edinburgh International Festival Award winners, Belt Up. Kafka's chilling masterpiece reincarnated by the critically acclaimed company behind last year's Fringe sensation 'The Red Room'. Expect the unexpected! 'Impressive, invigorating and inspirational' (Scotsman).